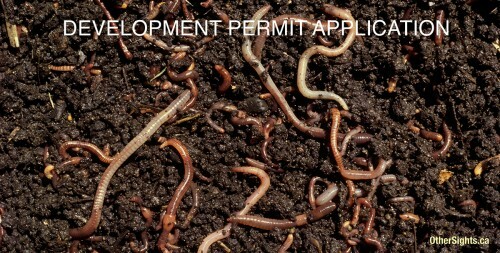 Slow Dirt (2015) is a three-part project that celebrates the slow, deep and generative production of the humble earthworm. 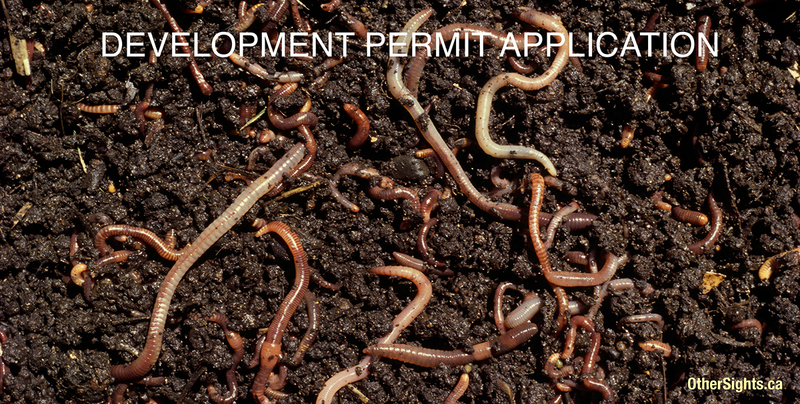 Quartermain’s worm creates “black gold” from organic waste, making it an agent of incremental change that enriches rather than depletes its environment. 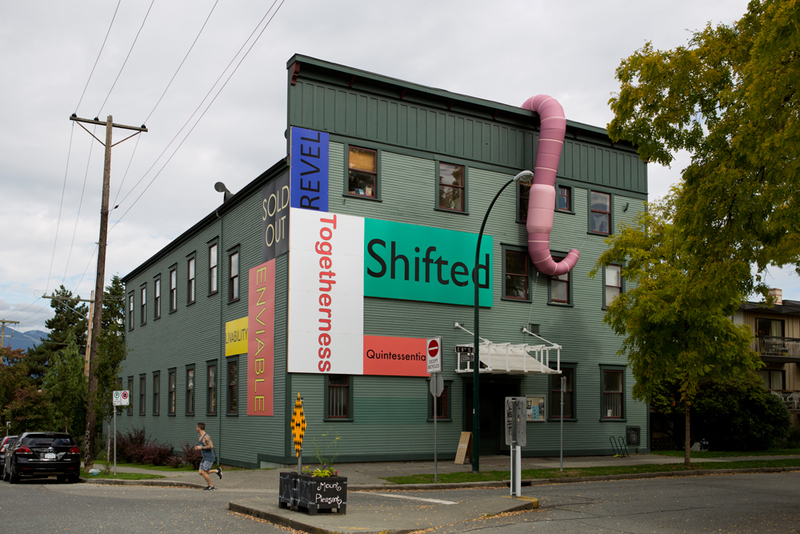 Other Sights for Artists’ Projects—a collective of curators, artists and architects—have for many years generated temporary public art projects that are self-reflexive and examine their role within the city. Collaborating with artists, communities and experimenting with new forms for presentation and dissemination, their work is attuned to the potential for public art to function as an agitator and site of friction in public space. On the occasion of the Urgent Imagination conference, writer Meredith Quartermain will give a reading of her poem “How to Remember” beneath the massive inflatable earthworm created by Other Sights for the exterior of the Western Front building. 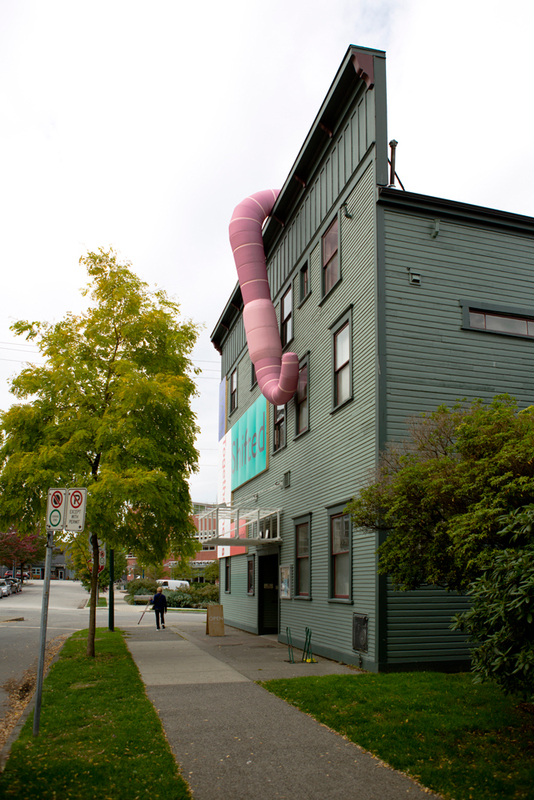 Pinkish in hue and carnivalesque in appearance, this oversized “invasive” worm wriggles down the front of the Western Front’s facade. Its presence reminds us of the potential for art to facilitate new models for development and transformation. Slow Dirt spreads offsite and into the city through a series of photographic development application permit signs by Vancouver-based artist Al McWilliams. The signs, so ubiquitous now in Vancouver, often signal for residents the coming of yet another condominium-based project. McWilliams’ signs however, in their depiction of tangled masses of worms transforming dirt into soil, remind us of a different, more organic inevitability. 1 – 3. 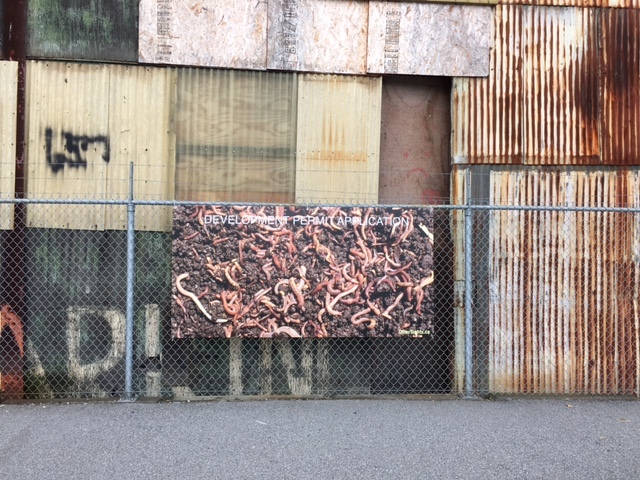 Al McWilliams for Other Sights for Artists’ Projects, “Slow Dirt”, various sites across Vancouver, 2015. 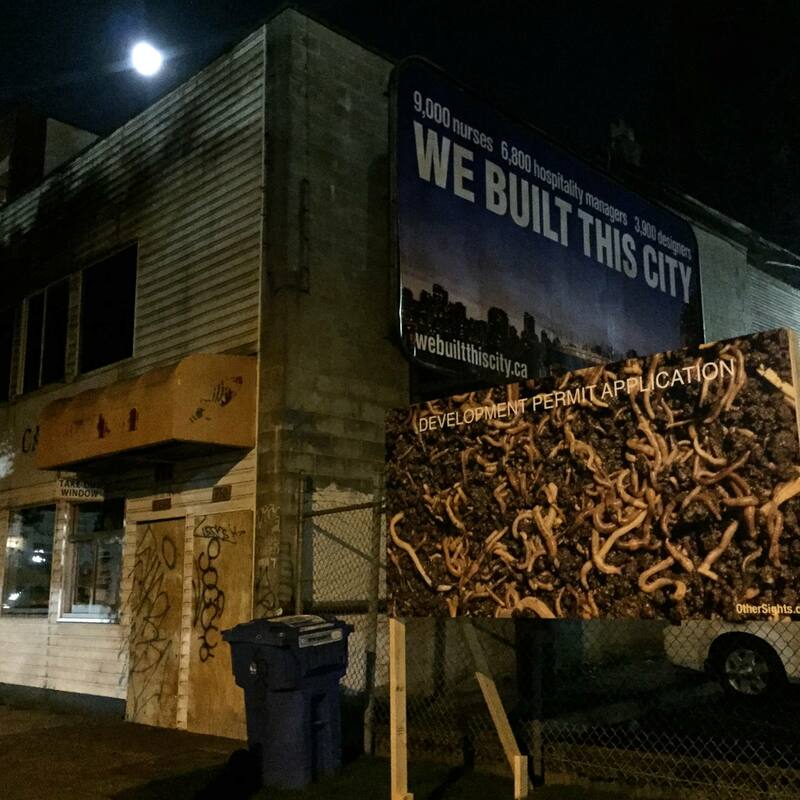 Photos by Tyson Longworth of Simple Sign Inc.
4 – 5. 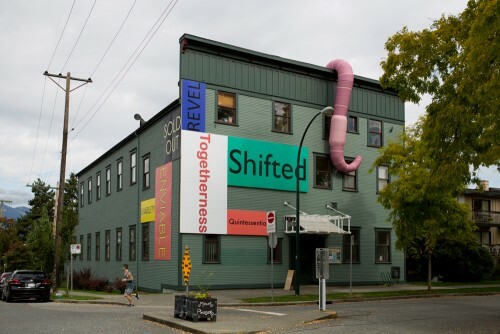 Other Sights for Artists’ Projects, “Slow Dirt”, exterior of Western Front building, 2015. Photo by Ben Wilson.